Founded in 2007 by Lyndsey Uglow, Giraffe has fast become a real favourite with UK parents for reliable personalised products. 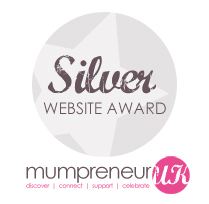 In 2012 Lyndsey was named as one of the top 100 Mumpreneurs by MumpreneurUK and the business was awarded a coveted Silver website award. All of our products are embroidered, printed or engraved by us ourselves at our base in Hampshire. We also personalise and despatch for some of the bigger online and high street companies but you can order direct from us here. We sell personalised kit online for a number of schools and clubs who no longer have to hold a large quantity of stock in their kit room as their students/members can order direct from us online, 24/7. If you are interested in us supplying your club or school please get in touch via the contact us page. We can also supply corporate clothing but these are not available through this site. If you cannot find what you are looking for please feel free to email us using the contact details so that we can see if we can help you with your requirements.